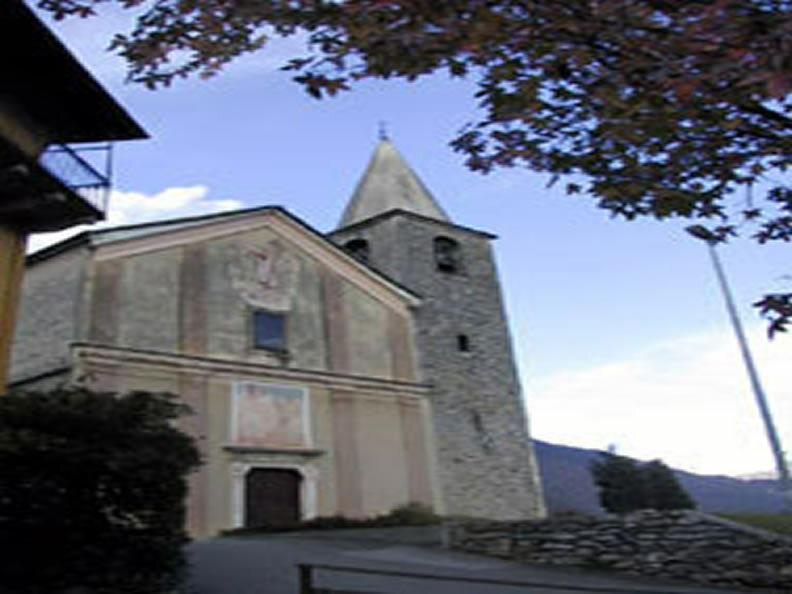 The church of Saints Roch and Sebastian is an imposing longitudinal building with a choir and bell tower crowned by a pyramid roof. On the facade, the Renaissance portal has a bas-relief on the architrave depicting the Madonna with the patron saints. Inside, the nave is punctuated by four bays with a barrel vault; above the choir rises a pendentive dome. On the entrance wall and on the left, in front of the baptistery, fragments of late Gothic frescoes that could be attributed to the workshop of the Seregnesi, especially in the figures under the capital representing the Madonna with Child and a saint: typical of that workshop are in fact the frames with perforated motifs. For the other two figures of saints we could refer to Antonio da Tradate who worked at the beginning of the sixteenth century. Along the walls there are some chapels; in the one dedicated to St. Anthony of Padua the stucco altar is from the seventeenth century; in the chapel dedicated to the Madonna the statue is from the nineteenth century, the frescoes of the vault (Assumption with angels) of the seventeenth century. On the high altar in marble of Arzo an altarpiece with Crucifixion of the nineteenth century.